By issuing a 30-day electronic Iran visa on arrival for most nationalities (US, British, and Canadians are exempt from receiving this visa), more tourists are able to easily visit Iran. Since late 2018, the Iranian Ministry of Foreign Affairs (MFA) no longer affixes visas to passports nor stamps them on entry as a response to the US sanctions on persons who have visited Iran after 2011. They also plan to extend the Iran visa on arrival duration to 90 days in the near future. So, presently all visitors can apply online for a visa and collect it on arrival at major international airports. Infographic: Iran Visa on Arrival, Jan. 2019. Which airports are issuing Iran visa on arrival? All Iran visa related offices (Visa police office, travel insurance agencies, and bank branches) are open 24/7 at these international airports. So, there is no worry and you can collect your e-VOA whenever you arrive in Iran. The Iran MFA is establishing facilities to issue visas on arrival at land borders in the near future. At present, some land borders issues e-VOAs as a pilot program and hopefully this will become permanent and offered at all land borders soon. However, citizens of countries who don’t need a visa for Iran, can enter the country from land borders without any restrictions. For example, Turkish citizens can enter Iran from the Bazargan border without a visa. Citizens of 10 countries MUST get their visa before arrival and they are NOT entitled to get an e-VOA. These countries are: Afghanistan, Bangladesh, Canada, Colombia, Iraq, Jordan, Pakistan, Somalia, the United Kingdom, and the United States.  Citizens of Afghanistan and Bangladesh who live in their own country have to apply directly for a visa via the MFA e-visa website and collect their visa from an Iranian Embassy/Consulate in their country. Citizens of Colombia, Iraq, Jordan, Pakistan, and Somalia can apply online through authorized travel agencies like us to get their visa. Finally, citizens of Canada, the UK and the USA are only permitted to enter Iran as part of an authorized and managed tour and receive their visas from authorized travel agencies, and they require more authorizations that make the process longer compared to other citizens. Those whose applications for an Iranian visa were previously refused. There are also stricter laws for citizens of Sri Lanka, Nepal, and African countries. They have to bring their visa approval in the form of the Visa Grant Notice or very strong documents to convince visa officers that they are here for tourism or pilgrimage purpose only. To get your Iran e-visa on arrival, you have to have a travel document (passport) valid for at least 6 months. You have to apply online for the visa before your departure and have received your visa grant notice or at least your visa submission notice. It is obligatory to have valid Iran travel insurance as well. Finally, you have to pay the Iran visa fees in cash, in Euros. Infographic: Iran Visa Grant Notice, Jan. 2019. How to pay for the Iran e-VOA fee: Please don’t forget to bring enough cash in Euros to pay the visa fee and travel insurance fee (in some banks they also accept USD notes). Due to unfair financial sanctions against Iran, international debit or credit cards can’t be used in Iran at all. Dress code upon entering Iranian international airports: Iran, as a Muslim country, has special dress codes that MUST be observed by incoming tourists at arrival. According to the laws of the country, women should have hijab in public areas. All women are asked to cover their hair with a scarf or shawl. They should also cover their body and that means wearing loose-fitted clothing for women that is not see through and not show any skin on arms, legs, etc.., except for the face and hands. Iran visa on arrival waiting time: It may take between 30 minutes to 1 or 2 hours, depending on how many applicants there are. If you haven’t applied online for your visa before your arrival, it may take longer to be confirmed and issued. Print your visa approval before arrival: Free WIFI internet is not always available at arrival halls at Iranian airports. So, you may not be able to download your visa grant notice from your email attachment. Although the visa police may only need your passport, it is recommended to print your required documents such as visa grant notice or visa submission notice before your departure to Iran. Picture for your Iran visa: If you have already applied online and got your visa grant notice, the picture on your visa approval will be printed on your e-visa. It is not obligatory to use a picture with hijab if you are not Muslim. If you haven’t applied online before your departure and are trying to get a visa on arrival, it is better to bring a recent photo with you. In some visa offices, they may have digital cameras to take your photo, but this is not guaranteed. In the second half of 2018 India was added to the Iran VOA list, so Indian citizens can fly to Iran and get their visa on arrival. It is very important for them to get their Iran visa authorization code before their arrival, have valid travel insurance and pay €90 for the e-VOA fee in cash at the banks situated in the Iranian international airports. The Iran e-VOA for Indians allows them to stay up to 30 days in Iran for tourism, pilgrimage, or medical purposes. At present, the Iran visa on arrival is not available for citizens of these three countries. Iran has a very strict visa policy for these countries and they HAVE to get their visa before arriving in Iran and travel to Iran as part of an organized official tour. Even if they are traveling to Iran individually, they have to be accompanied by a licensed tour guide. There is only one exception for passengers of these three countries and that is for those who have dual citizenship. They can use their other passport and travel to Iran freely regardless of their American, British or Canadian citizenship.